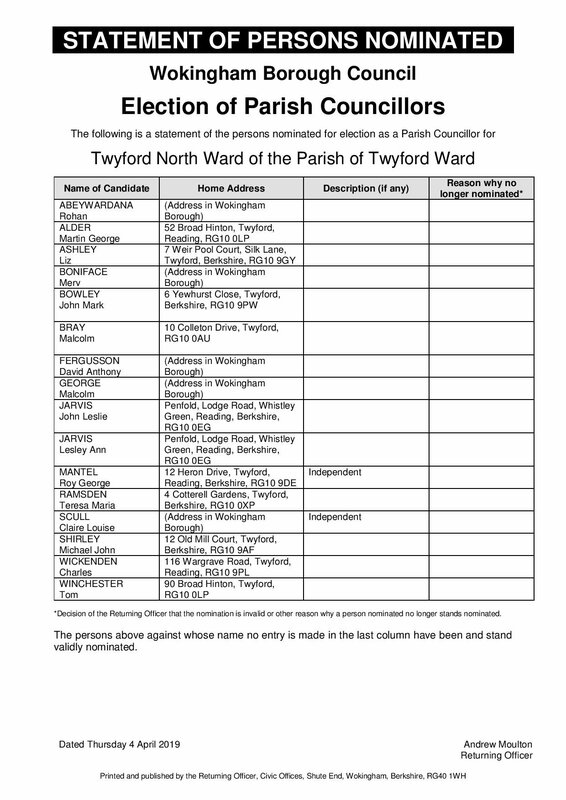 What Matters to You in Twyford? Is it the parks and sport facilities, activities for young people, the need for affordable housing in the area? Find out more from the National Association of Local Councils (NALC) https://www.nalc.gov.uk/our-work/elections and the Be a Councillor website https://beacouncillor.co.uk/. Contact clerk@twyfordparishcouncil.gov.uk for more information.